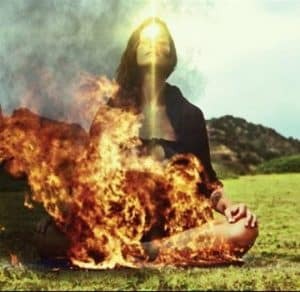 Live in the purpose of knowing our heart belongs to the divine within us the keeper of the all burning flame or the sweet child who smiles in the center of our being. When we sit and focus in our heart. The fire of love and wisdom and power begin to engulf us with majesty and great power. Live in the purpose of knowing our heart belongs to the divine within us the keeper of the all burning flame or the sweet child who smiles in the center of our being. When we sit and focus in our heart. The fire of love and wisdom and power begin to engulf us with majesty and great power. What we choose to do with it is our will in action. The dance of self can only happen when we are able to love all parts as the whole with acceptance and grace. The kingdom we are a universe of mass proportion. We ignite our power when we focus within our vessel to the heart of our spirit. The gates of awareness open up on a quantum energetic scale. Where all the powers and light merge into one Source. Where we can claim true power with humbleness as an unlimited being with knowledge of how our actions and thoughts affect the great and outer whole. The distance to the divine is just a breath away. We are not alone, and we will never be. If we take the time to sit with ourselves, we can enter the temple that awaits us to take our seat on the throne of the Love. We are reaching up to kiss the stars. Unseen by the human eye. We know it’s all there. It’s calling to us when we are silent and still or in play and smile. These are the moments when we touch the heavens. We are more than our bodies we are more than our spirit, we are more than the light what we are cannot be described by human words. However, can be felt in the heart.